Welcome to Life Carnival! Life Carnival is a helping tool for all those who are in a dilemma about choosing the appropriate career for them. All category students, especially admission seeking students at different colleges and universities can use this website to ascertain the prospects and future of each subject. We believe that the true knowledge of each field can be obtained from those who are closely related to the respective field. To that extent, our respectable teachers and noted personalities have given us their thoughtful interviews describing precisely the ins and outs of the subjects. Apart from being a career developing tool, Life Carnival is an online home for loads of tutorials on different topics and subjects. Tutorials are so designed that students can have a deeper look inside each topic and can learn to think. Blogs are open for all. All users can read, share and learn. Innovations, discoveries, adventures, advice, real-life experiences and many other topics can be your choice to read and write. In Bangladesh as well as many countries of the world, most of the people around us do not know in which discipline they are good at. This problem has also been intensified by the lack of knowledge about different disciplines and meager amount of seats in educational institutions. Moreover, parents often do not bother about their children’s choice; rather they try to impose a subject of their own choice on their children. As a result, most people even after graduation do not like what they are doing, lack efficiencies in the respective sectors. Thus the country is losing a dedicated workforce in every sector. We believe that this land is full of opportunities. We dream of a dedicated workforce, boosted in professionalism, who loves their workstation, who believes in the art of creation and innovation. Keeping this in mind, we strongly believe that guiding young people towards the right career, letting them believe that they surely have a choice, that there must be an underlying reason for them to be here, the most obvious time is the choice they make at undergraduate level. To that extent, we hope that the subject interviews shall help them making their own decisions. These words shall make them confident “Yes I do know what I’m going to study and what I will be in future”. Our mission is to disseminate the insight of every field to the mass people. We hope to intermingle craftsmanship, professionalism, sense of duty and responsibility among every individual.We dream to eradicate depression from the society. We desire to bring more happiness & peace in everyone's lives. As a social and moral responsibility, we have designed and believed in this website. We are planning even bigger, brighter. Stay with us, learn more about us at Life Carnival blogs. 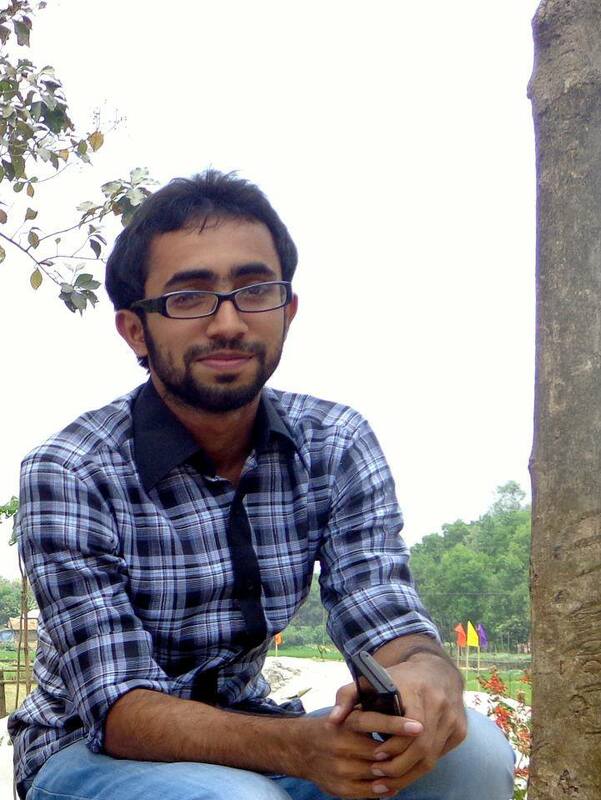 The Master Player behind Life Carnival, Mahdi is currently studying CSE at BUET. He is responsible for almost everything starting from interview collection or website development, bringing and nurturing every other department and keeping the team alive. In a bigger project like Life Carnival, you will need a person who will always see your back and cover it up for you. Arefin, studying Bar-at-Law is also the Master Player behind this project. He has that ability to bring life in to the teams. Arefin is currently studying CSE alongside Mahdi at BUET. He is responsible for connecting with different faculty members and noted personalities for interviews and write-ups. He is also working in the team that keeps up the maintenance of the website. Tusher is also studying CSE at BUET. Tusher is doing a wonderful job in leading the tutorials department. He is himself an excellent tutor and is working on to bring a whole bunch of talented people making the tutorials section a stellar! Nazmus Sadat is studying MME at BUET. A jolly minded boy full of dedication and inspiration. He is currently holding a big responsibility for Life Carnival by taking care of interview collection. And there are those without whom and without whose constant support & cooperations Life Carnival would be a dream only. Our special thanks to Shourav Nath (CSE, BUET), Minhajul Bashir Shovan (CSE, BUET), Jahan Aronyo (RJ, Radio Today), Javed Kardar(News Presenter, Desh TV), Kazi Raihan Mohammad(ACCA), Mahbub Piyal (Founder, ByteCode), Hasan Ahmed(Designer), Arif Dewan(Web Developer) and many others for being with Life Carnival. You are a part of this team too!